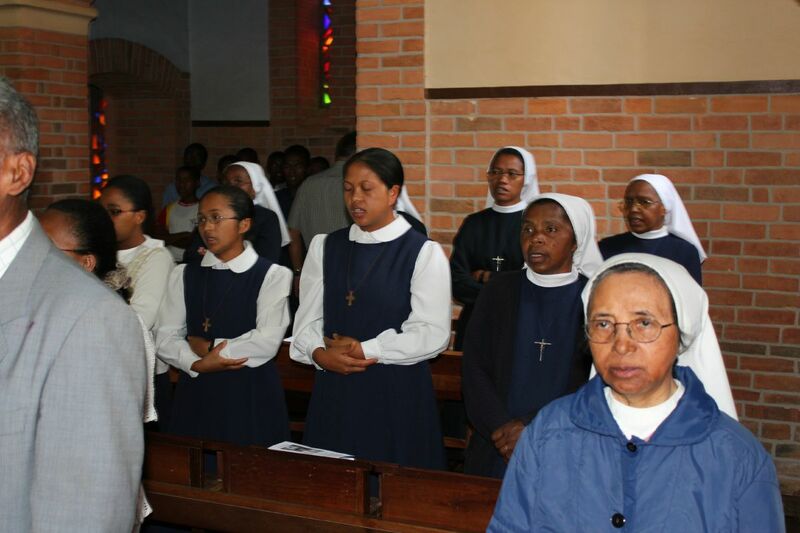 The most characteristic and the most typical feature of the spirituality of Fr. Beyzym, which are many, is his devotion to Mary. Devotion to Mary is for him something connatural, as if sucked in his mother’s milk. He carried it from his family home and from his noviciate in Stara Wieś, where he was a member of the so called Filiatio Mariana, equivalent to the Sodality of Mary, which was characteristic of his childlike and his filial relationship to Mary. One can say without any exaggeration that a characteristic of devotion to Mary was a charism of Fr. Beyzym. It absorbs in him all his energy, all his life, his work, and efforts, his joys and moments of sadness. It penetrates his prayer and enables him to experience a certain security at her side and a feeling of a child’s belonging to her as Mother and an unlimited trust in her in the matters of the Church, (Jesuit) order, and his fatherland and in matters related to the lepers entrusted to him, for whom he was building a hospit and to whom, his black ‘chicks’, he wanted transmit his love to Her – the Black Madonna of Częstochowa. Fr. Bezym and all his projects belonged to Mary. His life was given totally to Her and to Her devotion; he was completely abandoned to Her will; he was engaged in Her service in all his actions and mission on Madagascar; he wanted this to be so even if he were to be sent to Sachalin. He owed to Her his priestly and mission vocation, Mary, Mother, Dear Mother, less frequently Our Lady, uses him; he is her humble, inept and weak instrument. He takes refuge to Her in all his actions; he does not do anything without having recourse to Her; he even does not close doors without having Her name on his lips. He entrusts everything to Her. He trusts in Her, since She directs and orders everything. She sends him and commands him at Her will. Fr, Beyzym feels he is completely Her property, in like manner as St. Maximlian Kolbe or Karol Wojtyła: ‘totus tuus’. That belonging to Mary is his happiness and his peace. He has recourse to her to the point of annoying; he is certain that She directs all things well, that She is able to do everything, what is according to the will of Her Son. Fr. Beyzym seeks in all things the glory and the will of God. He is also certain that Mary knows best what is for the greater glory of God and for the greater good and profit of souls. Mary is his strength. Thanks to her he is able to overcome all difficulties. If it were not for Her and Her will, he would abandon everything, disappointed and disaffected. She is for him a reliable and dependable source of strength and courage and perseverance. He wants to belong to Her and only one thing matters to him: that “She would not look at him askance”. Fr. Beyzym is so imbued with Mary that all in him is permeated with Mary, every breath of his; every heartbeat of his; every step of his is for Mary. She in like manner as St. Ignatius of Loyola attaches him to Jesus; hands him over to Jesus and he, on his part together with Jesus loves Him and His Mother. The trust of Fr. Beyzym in Mary is without limits, even in small, everyday matters. With Her he writes letters and entrusts himself to Her care. He locks the doors of the shelter with Her, having sure conviction that She is the best and the most trustworthy carer and sentinel of his black children. He entrusts to Her even the flower seeds, that they would keep their germinating power up to the time of their sowing into the ground. Of all the prayers the most dear to him is the ‘Hail Mary’. It is always on his lips. 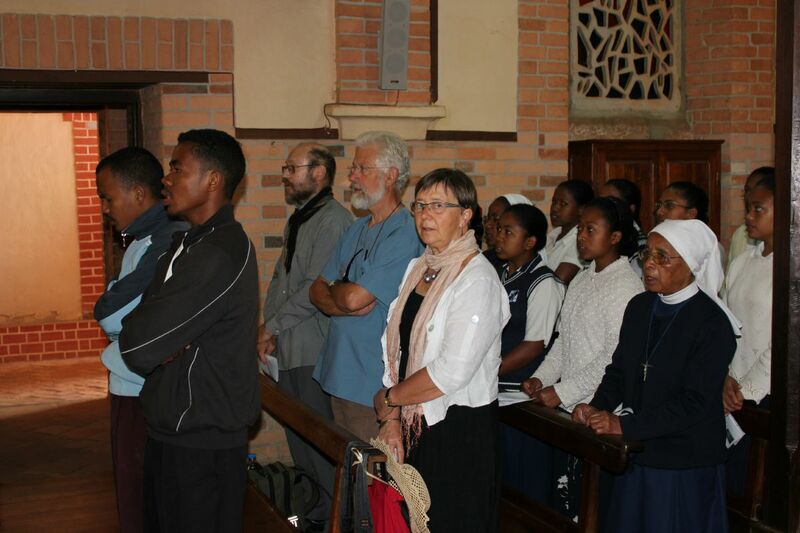 With that prayer he does everything: with it he travels, works, learns the Malagasy language, and takes care of the sick. He entrusts to Her the recipients of his letters – Fr. Martin Czermiński, SJ; Fr. Apoloniusz Kraupa, the Carmelitan Sisters in Kraków and, at the same time, he asks that they pray for him and for his sick lepers. He is grateful to Her for everything but he asks Her that She would complete his gratitude to his donors and, according to Her goodness, remunerated them in the way in which She is able and wishes to do, since She is “generous and rich”. In all his dangers and difficulties he entrusts himself to Her and She always comes to his help. 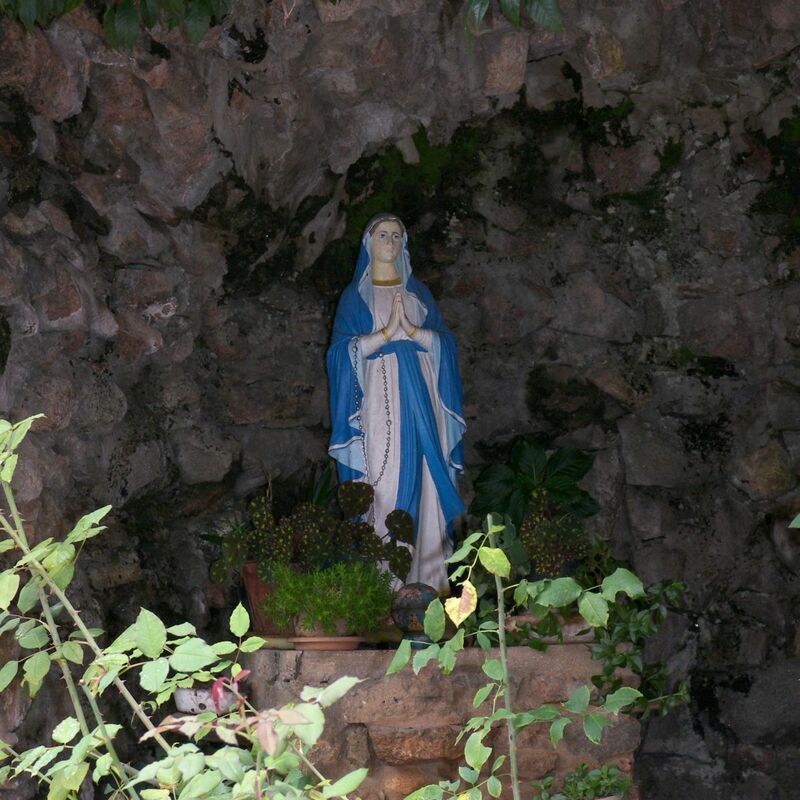 When he learns that some people have difficulties, he counsels them to pray to Mary, the Mother of God. She is able to even “effect miracles. She is over all the governments and secular powers. All of them are subject to Her will; “things will happen as Mother of God will direct”. “She directs me”, Since Her will is always in accord with the will of God. She is able to obtain everything from Her Son, who does not refuse Her anything; for that reason it is necessary to trust her in the spirit of humble and magnanimous service. There was no matter nor situation in which Fr. Beyzym was not united to Mary. He had a special, very Polish, devotion to Our Lady of Częstochowa. 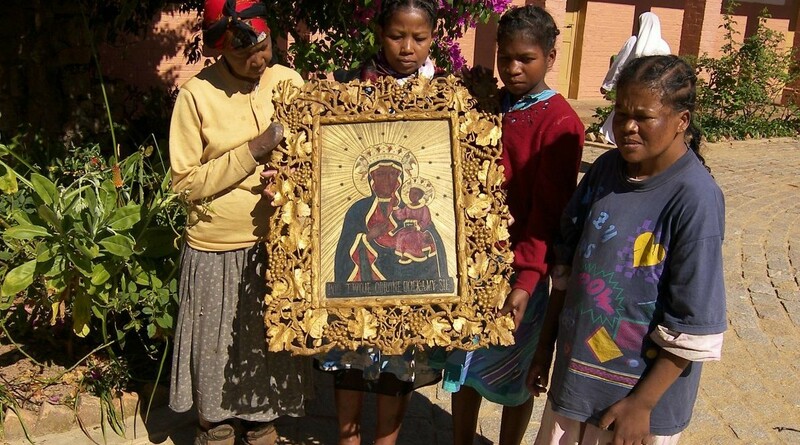 Her picture, which he bought in Kraków before the departure for Madagascar, is placed in the altar of the shelter chapel. He carried her image in a medallion, always on his chest. Her pictures were placed over the beds of the sick lepers. He desired very much that the Queen of Częstochowa be venerated under the African sky. He was delighted when he observed that his sick lepers began to venerate and love Our Lady of Częstochowa. He sculpted frames for |Her pictures and desired that they be beautiful. It was She who was invoked to heal Joseph Rainilaivao from his blindness. 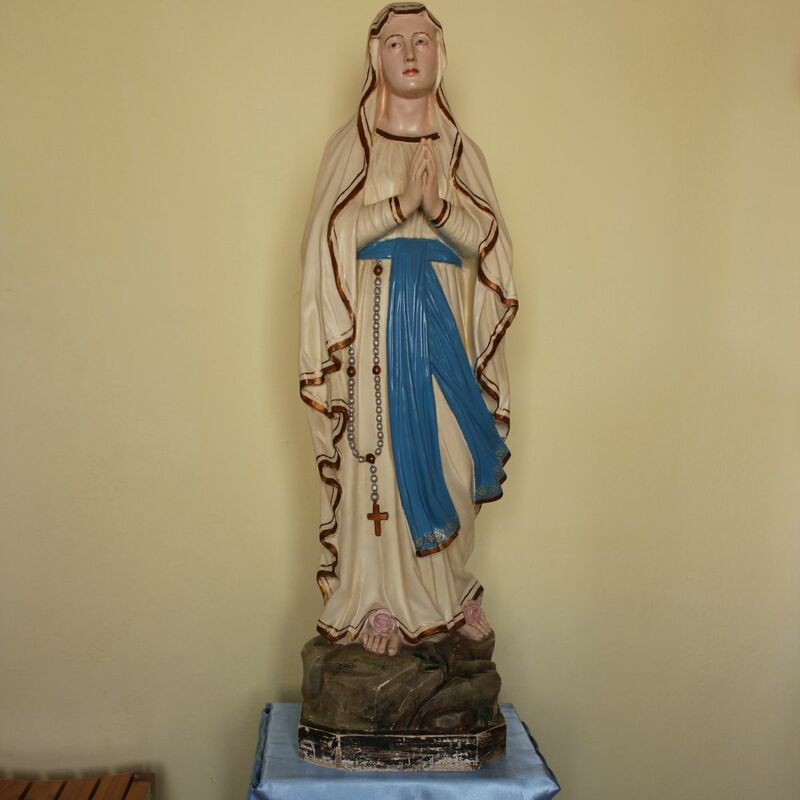 He abandoned to Heer care everyone and all that was dear to him: his fatherland, the Society of Jesus, both Carmel institutions in Kraków, his ‘chicks’ and the prisoners on Sachalin (to whom he wished to go with her help), since She, if only She wants, is able to remove all difficulties. In each step he experienced Her help and care; for it all he was humbly grateful. Her goodness for him was always amazing him. Fr. Beyzym was a man of desires. He desired the glory of God and salvation of souls and to behold Mary in heaven. The purgatory for him was waiting for seeing God and Mary and hope that he will meet Her. That experience was a kind of consolation in his painful expectation. The thought of death engendered in him joy, because he trusted that he will rest at the feet of his best Mother in heaven. 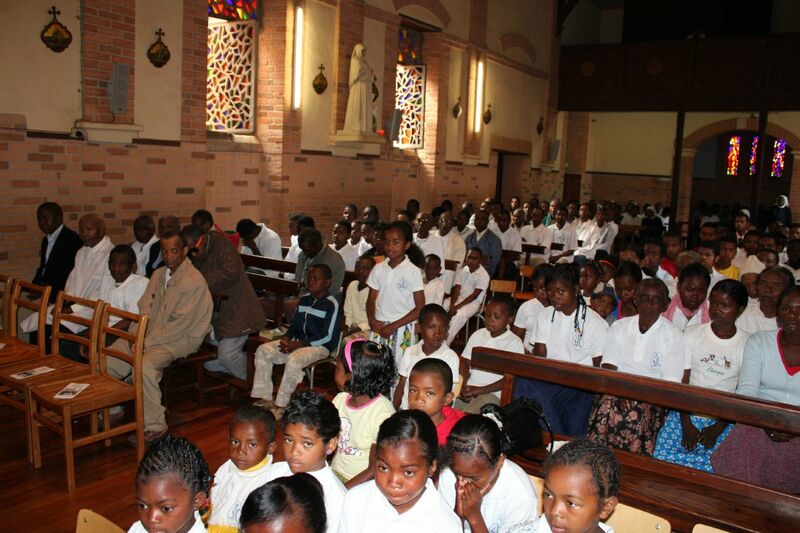 The devotion to Mary of Fr. Beyzym was filial, but there was no trace in it of any weakness or desire to avoid the difficulty of the cross. 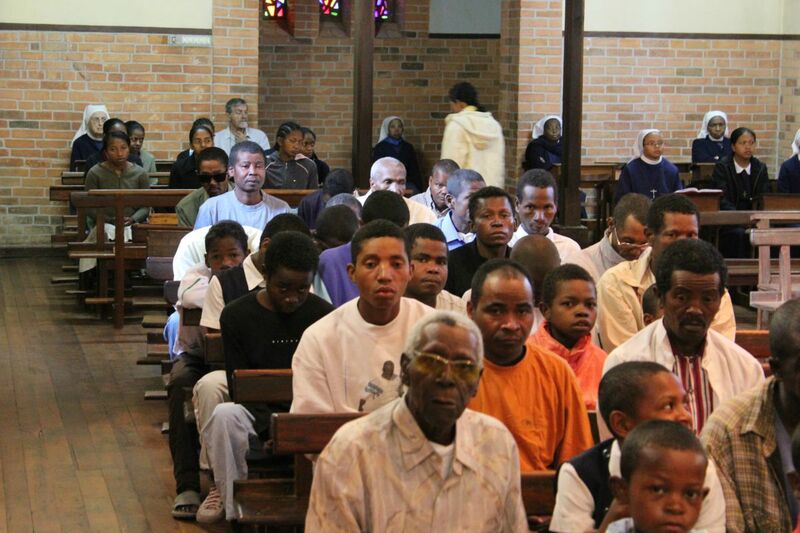 From the very start of his arrival to Madagascar he asked Her for the grace of ‘acute leprosy’, so that, for that price, he could obtain improvement in health for the lepers, do penance for his sins and to have a tangible certitude of offering of his life as a sacrifice for his unfortunate lepers. His love of Mary makes him brave and daring. With Her help he attempts big and difficult projects. If She allows and helps him to work on Sachalin, he is ready even to die for the good of souls which perish there. He desires to make fecund the soil of Sachalin not only with his sweat but also with his blood. As spiritual son of st. Ignatius of Loyola Fr. Beyzym is a man of ignatian intensity of life, that famous magis - “more “. The objet of that intensity of action is also the Mother of God. He desires Her greater glory; he wishes that She be known and loved everywhere. The attacks on Her and on Her honour by some people cause him suffering. His devotion to Mary is childlike but not childish. It is filial and manly at the same time, trustful and responsible – it does not absolve him from personal effort and work in all his activity. In the difficult issue of separation of sexes of the sick in the hospital, when he had against himself so many powerful opponents, he trusts that he will be “successful if The Good Mother will so decide”. All those who knew Fr. Beyzym well were impressed by his love and veneration for the Mother of God. Among them were: Jesuit Fathers Leo Derville, Augustine Niobey, |Joseph Loiselet, and Sister Ann Marie of the Visitation. Fr. Augusetine Niobey stated: “His whole life was filled with the desire to teach people love for Mary and Joseph, protect them from even the least sin, pray and offer one’s sufferings for sinners”. Fr. Beyzym lived his difficult and full of work life not for himself but for others; in the service of Mary, as Her soldier and under Her rule, in the love of Her and for Her glory. He left this life ready to meet Her nd to receive his prize. That prize is above all God Himself, one God in the communion of the Trinity, God-Man born of Mary; and also She Herslef, the best of Mothers. Thanks to that marian characteristic in his spirituality F. Beyzym is authentically catholic and ecclesial in the Franciscan and Ignatian spirit. He not only loved and venerated the Great Mother of Jesus Christ, apocalyptic figure of the Church, but also, together with Her, wished the increase/expansion of the Church, as the Mystical Body of Her Son and the conversion of all to the only Saviour of the world – the Son of Mary.